Europe’s best selling SUV; the popular Renault Captur is more than ready for concrete jungle adventures! The respected crossover has the style credentials of a Clio, the driving position of an SUV, the spacious interior of an MPV and all the excitement of a hatchback; the Captur is a true pleasure to drive. As part of Renault’s EasyLife range, the Renault Captur is available in three models, Play, Iconic and GT Line with an array of customisations – choose the perfect car to suit your lifestyle! With a two-tone exterior as standard, stylish front grille featuring fine-chrome edging and the option of a black fixed glass panoramic roof, the Renault Captur is simply captivating. C-shaped daytime running lights and front and rear LED lights shed fresh light on your journey. The choice of Emotion or Explore 17” alloy wheels (available from the Iconic model), combined with the raised ground clearance, and built in skid plates, guarantee you are ready for adventure at a moment’s notice. Enjoy pure comfort and elegance with the Renault Captur’s luxury interior, supportive seats and leather steering wheel. The spacious crossover has cleverly hidden away storage, including a multi-position floor in the boot for you to store your essential bits and bobs - making everyday life easier. 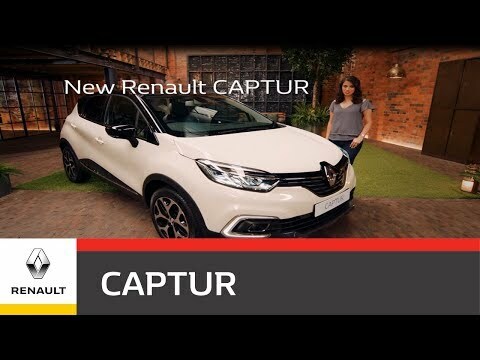 Stay in control and feel truly safe with the Captur’s host of special features including hill start assist, emergency brake assist, Cruise control, Isofix attachment system for child seats and front/front side airbags. Experience a new level of confidence with hands free parking, blind spot warning and front, side and rear parking sensors and reverse parking camera – available with the GT-Line. Connect your smartphone to the Renault Captur using the R&Go, allowing you to control the radio, and safely carry-out hands-free calls. The MediaNav system, mounted on a 7” touchscreen, is available from the Iconic model and allows you to access navigation, multimedia and make hand free calls via Bluetooth®. The latest of technologies, exclusive to the GT Line, is the Renault R-LINK multimedia system on a 7” touchscreen which features an abundance of practical features including TomTom® navigation, a telephone system, multimedia, mounted steering controls, voice activation and vehicle data. The Captur is available with two simple engine choices: TCe 90 petrol engine with a five-speed manual transmission, or the dCi 90 diesel engine with a five-speed manual, or six-speed EDC automatic transmission. Highly responsive at low revs, the TCe 90 petrol engine is ideally suited for city driving. Alternatively, the dCi 90 diesel is a fuel economy champion, offering a dynamic and efficient drive. ECO mode is enabled across all models – making your fuel go further. Whichever you choose, it's guaranteed you will have a smooth and enjoyable ride!